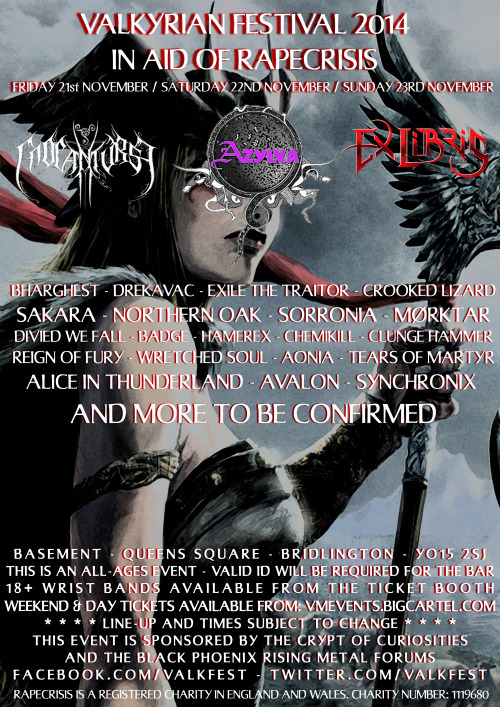 UK power metal heroes Dragonforce have been announced to co-headline with Epica at their only UK show in London later this year. The show will take place at The Forum in London on 6th December. Fans are advised to grab their tickets quickly as demand for this double bill will be high. Tickets are on sale now via SeeTickets.com. In related Dragonforce news, the band also unveiled their new video for The Game last week. The video can be viewed below. Formed by former After Forever guitarist and vocalist Mark Jansen, Epica have been dominating the symphonic metal scene for the last decade. With six studio albums under their belt already, Epica have been busy recording the seventh album which is set to kick start a new decade for the band. The Essence Of Silence is the first single to be released from The Quantum Enigma, which is set for release in May. Beginning with a mystifying strings and piano arrangement, the song soon throws the listener into a maelstrom of heavy riffs and Mark’s terrifying vocals and Simone’s more tragic yet angelic voice. The choir adds a new depth to the song, sewing the other elements together. The guitar passages, as performed by Mark and Isaac, exceed the strength and heaviness of previous Epica elements, showing a definite evolution in the band’s sound since Requiem For The Indifferent. The rhythm section, made up of Rob van der Loo on bass and Ariën van Weesenbeek on drums, lay down a strong foundation for the song while Coen’s keyboard medleys sprinkle the track with the typical dramatic flavourings found in Epica’s music. The Essence Of Silence is only a small glimpse into what awaits on the new album but it shows a distinctly positive change in the band’s sound. If the rest of the album is anything like this track, then it’ll no doubt be a masterpiece. 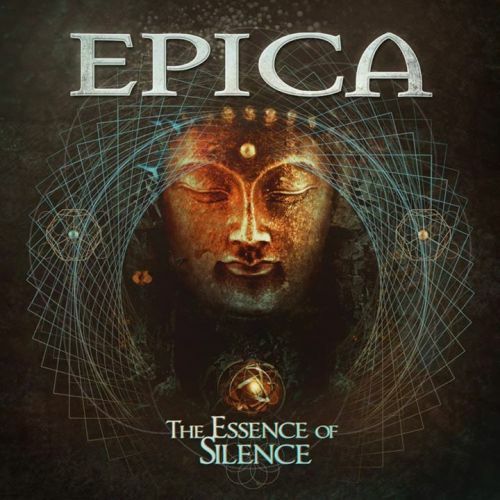 Dutch symphonic metal titans Epica have released the first single, The Essence Of Slience, from their upcoming album The Quantum Enigma which is set for release through Nuclear Blast in May this year. 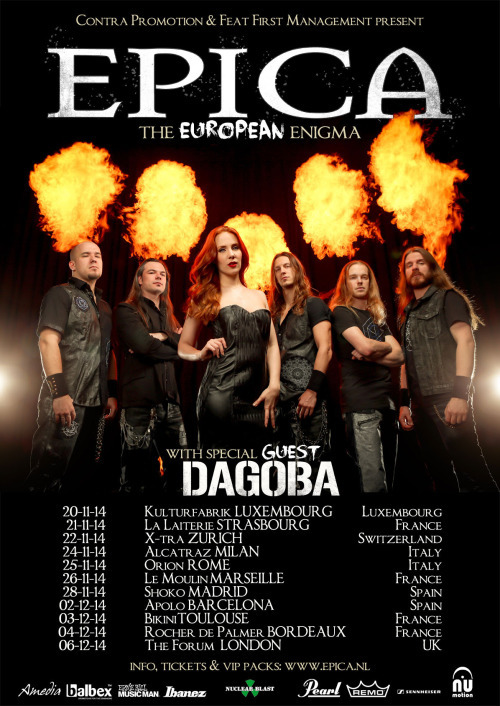 The album is set to be a turning point for Epica, beginning a new decade of symphonic metal and a new modern sound for the band. The new single, The Essence Of Silence, can be ordered from this location or over at iTunes. The single is also available on other online platforms such as Spotify and Deezer. The new single can also be heard below. Dutch symphonic metal titans Epica have released the second part of their documentary online, which shows the behind the scenes aspects of the recording process for their new album The Quantum Enigma. Like the first part, the video includes music from the new album, allowing fans to have a sneak peek of the album ahead of its release in May. The trailer can be viewed down below. We believe that The Quantum Enigma is the album that will take us to the next level! The reactions from the fans on the first part of this documentary strengthens this belief even more! Dutch symphonic metal titans Epica, who are fronted by the stunningly talented Simone Simons, have launched the first episode of their studio documentary online. The documentary gives a behind the scenes look at the recording process for the band’s sixth studio album The Quantum Enigma. It also gives fans a preview of the album ahead of its release. The first episode can be viewed down below. The band recorded The Quantum Enigma together with upcoming producer Joost van den Broek at the Sandlane Recording Facilities in the Netherlands. The album has been mixed by Jacob Hansen (Volbeat, Hatesphere). The whole process of writing and recording TQE was extremely refreshing for us. Instead of preparing the album in our home studios separately, we rehearsed the songs together in the studio. Just like any other band, you could say, but as Epica is located in 3 different countries this is a little more complicated for us. The direct interaction between us has certainly lifted up the quality of the songs, as no detail was left unspoken. Definitely worth taking some time off from touring! As far as songwriting goes, the main focus was groove and melody. The Quantum Enigma will be released on 2nd May (Europe), 5th May (UK) and 13th May (USA) through Nuclear Blast.